"Calvin Klein is a global lifestyle brand that exemplifies bold, progressive ideals and a modern, and often minimal, aesthetic. 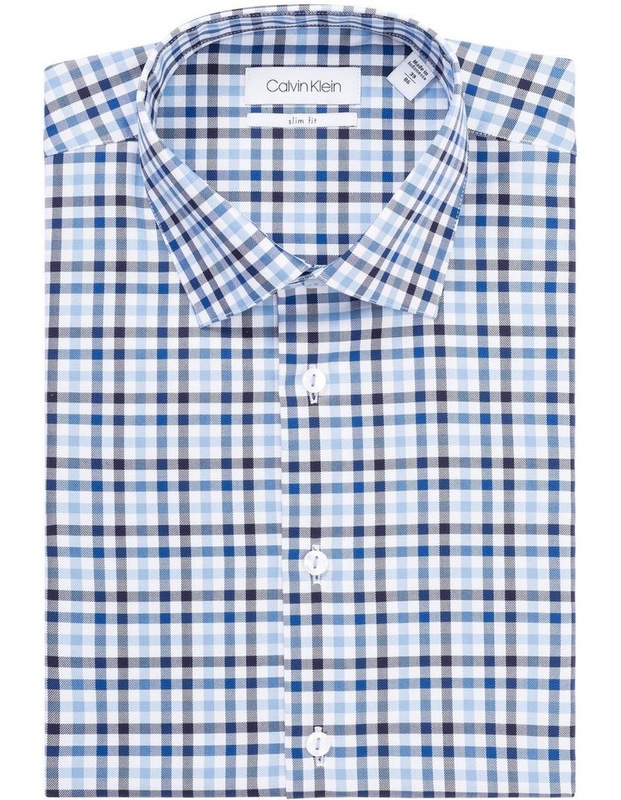 Calvin Klein shirts are made with high quality materials by exceptional craftsmanship. 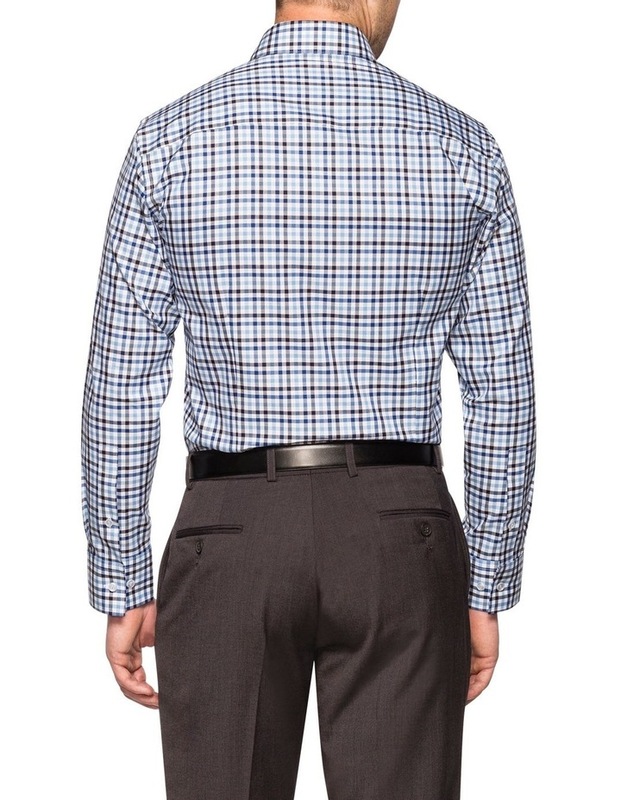 This Calvin Klein Blue Check Business Shirt is tailored for a slim fit, with a cutaway collar, square cuffs and check pattern. 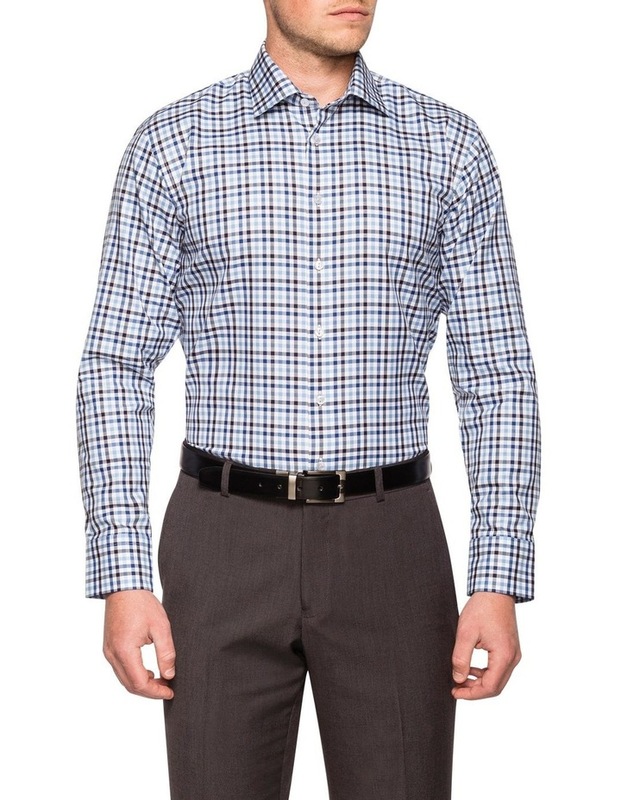 Designed to be worn with or without a tie, this youthful silhouette allows you to transition effortlessly from day to night."